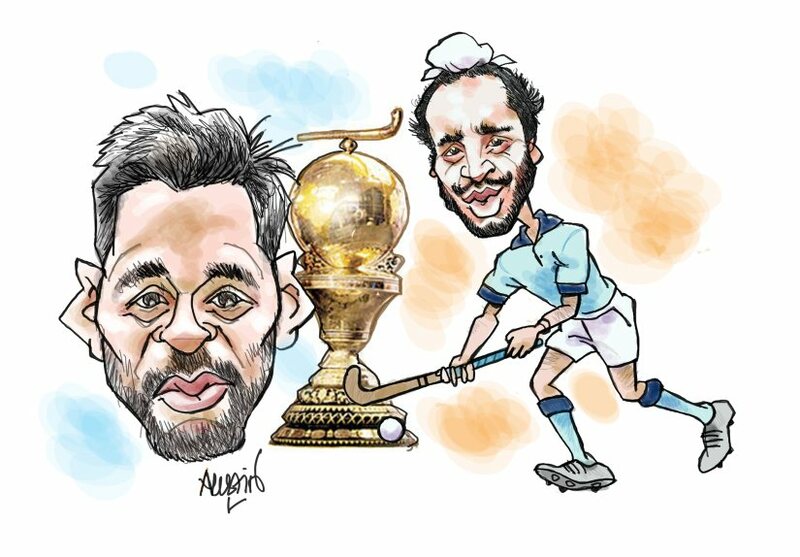 “Gooooal!” yelled the All India Radio (AIR) commentator as Ashok Kumar – hockey legend, Dhyan Chand’s son – put India ahead in the 51st minute of the Hockey World Cup final of 1975, in Kuala Lumpur. Hockey fans in India knew that voice – deep baritone – well. Jasdev Singh, the legendary commentator who passed away recently, had the ability to paint a picture of the hockey action on the field, on radio, like no one else could. It was 15 March and I was among a dozen students sitting in the Irani restaurant opposite Khalsa College in Matunga, Mumbai listening to the commentary of that India-Pakistan clash. The electrifying action in the match was just what we needed to up our mood after the rather boring physics practical examinations we had endured that afternoon. After we had cheered and shouted ourselves hoarse through the 70 minutes, the restaurant owner had asked us to leave, rather politely. The few cups of tea we had ordered had remained untouched. “Ajitpal Singh ney ball trap kiya, idhar udhar dekha, aur Ashok Kumar ko diagonal pass diya,” (Ajitpal Singh has trapped the ball, looked around, and has sent a diagonal pass to Ashok Kumar) Jasdev Singh had said as the mercurial forward strode into the striking circle with the ball glued to his stick. After his scorching cross had earned for India a penalty corner, Ashok Kumar himself picked up a loose ball in a goal-mouth melee and placed it coolly past the Pakistani custodian, Sherwani. Islahuddin, the Pakistani skipper, and his boys protested as the ball ricocheted into play after hitting the inner side of the goalpost, but the referee had already blown the whistle for goal. In the nerve-racking final few minutes, Leslie Fernandes, the Indian goalkeeper, fended off a couple of dangerous attacks to help India win by the odd goal in three. Earlier, Zahid Sheikh had weaved past a few Indian defenders to score in the 17th minute. However, after Ashok Kumar was obstructed as he moved dangerously into the striking circle, Surjit Singh had equalised from the penalty corner that was awarded in the 44th minute. Six minutes later came the match-winner from Ashok Kumar. India, in fact, almost didn’t make it to the final of World Cup ’75. Hosts Malaysia had India trailing twice in the semi-final match played a couple of days before the India-Pakistan epic. After Loke had scored for the Malaysians in the 32nd minute, Shivaji Pawar had helped India draw level in the 40th minute. Shanmuganathan had then sounded the boards a couple of minutes later for Malaysia. A goal down, with only a few minutes left, Aslam Sher Khan had come in as replacement and had drawn parity for India in the 65th minute. In the extra time, Harcharan Singh had scored a goal to help India reach the final for the second time in three years. The whole of India went into celebratory mode after that historic win in Kuala Lumpur. Fans at home started believing that there was still the hope of a hockey revival in the country. For many of us in Khalsa College, the win at Kuala Lumpur had meant a personal victory. 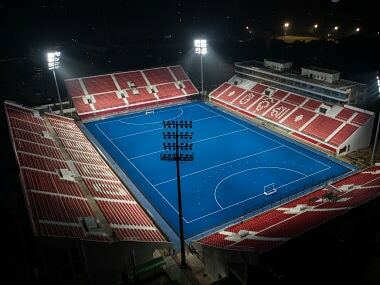 Following India’s loss in the finals of the 1973 World Cup, the hockey nationals were played in Mumbai, and many of the matches were also held at the Khalsa College grounds. We would therefore get to chat with legends like Govinda, Ashok Kumar, Phillips, Surjit Singh and others while they waited for their matches to commence. For us, they were ‘friends’, and our friends were then world champs! Just before the 1982 World Cup held in Mumbai, the Indian hockey team had a month’s residential camp at RCF, in Chembur. The team was led by Surjit Singh and had some brilliant ball players like Mohammed Shahid and Merwyn Fernandes in its ranks, besides MM Somaya, Joaquim Carvalho and others. Again, I had a ringside view of the players in training. That team finished fifth after playing well and losing to the Netherlands (3-4) and Australia (1-2) at the league stage. India has participated in all the 13 editions of the World Cup played between 1971 and 2014. Besides winning the coveted cup in 1975, under the leadership of Ajitpal Singh – perhaps the best centre-half I have seen – the Indian team finished in third position in the inaugural World Cup in 1971 at Barcelona, and then lost to Netherlands in the final of the 1973 World Cup in Amstelveen. Since then, the magicians who once ruled world hockey have never managed to enter the last four-stage, finishing in the fifth position in 1982 and 1994 and in sixth position in 1978 and 2014. India was placed eighth in 2010, ninth in 1998, tenth in 1990 and 2002, 11th in 2006 and a lowly 12th in 1986. Indians were the undisputed kings of hockey between 1928 and 1956, at the Olympics, winning six golds on the trot. The team won two more golds, one at Tokyo in 1964 and the other at Moscow in 1980, in a depleted field. One silver at Rome in 1960 and two more bronzes at Mexico (1968) and Munich (1972) sums up the country’s participation at The Games. Since then, it has been a journey downhill for Indian hockey. In the mid-1970s, Fédération Internationale de Hockey (FIH), the world hockey body, set out to make the game more popular. Rules were tweaked to make it faster and more attractive. Artificial surfaces too were introduced. Hockey, post-1980 was more like football; a hit-and run game that did not suit teams that held on to the old ‘artistic style’. The paranoid Indian officials and coaches therefore believed that the changes were brought about to kill Indian hockey. It has taken more than three decades for Indian officials, coaches and players to realise that crying over spilt milk won’t get them anywhere. 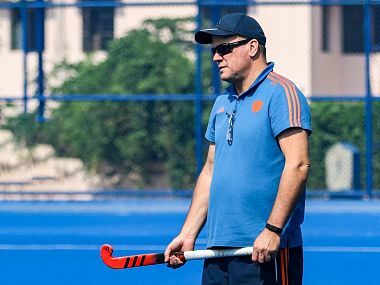 Foreign coaches, modern training methods, more artificial surfaces all over the country and events like the hockey league – involving the best overseas and domestic players – have turned things around for the game in India. Slowly but surely, India is regaining its rightful place among the best teams in the world. At last count, India was ranked fifth in the FIH rankings, behind Australia, Argentina, Belgium and the Netherlands. Sixteen of the world’s top hockey teams will take part in the 14th edition of the World Cup to be held at Bhubaneswar, Odisha from 28 November to 16 December, 2018. The Indians are in Pool C, along with Belgium, Canada and South Africa. If they top the pool, they go directly into the quarter-finals. If they finish in either second or third positions, they shall have to play a crossover match to qualify for the quarter-finals. Thereon, it will be two knockout rounds to the final. Gazing into my crystal ball, and on present form, I think India should be in the quarter-final line up, come 12 December. Thence, the form the Indians display during those four days, in the run up to the final, will determine whether the World Cup comes back to India after 43 years. It could mean, India playing Belgium, the Netherlands and Australia – three of the world’s best teams – in four days; a tough ask. The Indian players will need to play out of their skins to win the World Cup a second time in 43 years. If they do, Jasdev Singh won’t be there to shout ‘gooooal!’ nor will some college boys cheer in the Irani restaurant at Matunga, for it no longer exists. But Ajitpal Singh and some of the players from the 1975 World Cup winning squad will surely be there at the Kalinga Stadium, reliving their moments of glory. And what a poignant moment that will be if Ajitpal Singh hands over the World Cup trophy to Manpreet Singh, the India skipper on 16 December, 2018. I, for one, am placing my money on an Indian win and keeping my fingers crossed too. The author is a caricaturist and sportswriter. 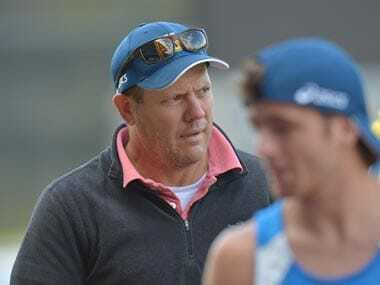 A former fast bowler, he has been a cricket and football coach, and a sports administrator.